Cabinet recently discussed relations between the Muslim and other communities here in the UK. In a discussion on terrorism, Ministers focused on the need to encourage moderate Muslim opinion to the detriment of extremism both at home and overseas, and the extent to which a sense of isolation and disaffection within parts of the Muslim community is leading to acts of terrorism. The same subject came up at one of our Wednesday morning meetings. I would like to invite you and other recipients of this letter to a further discussion, using this letter as an agenda. Relevant analysis and suggested answers to some of the questions posed below would be welcome in advance. There is a feeling that parts of the Muslim community, particularly younger men, are disaffected. This includes some that are well educated with good economic prospects. Al Qaida and its off-shoots provide a dramatic pole of attraction for the most disaffected. The first pillar of the government's counter terrorism strategy, CONTEST, is prevention. The aim is to prevent terrorism by tackling its underlying causes, to work together to resolve regional conflicts to support moderate Islam and reform, and to diminish support for terrorists by influencing relevant social and economic issues. Clearly this is a wide agenda, and reflects the need expressed in Cabinet for all departments to contribute towards the CONTEST objective. What do we mean by disaffection, what is the evidence and how widespread is it? Are the issues primarily social or cultural or economic or a mixture? Is the issue primarily disaffection with other communities, particularly the majority community, or is it also disaffection with the conventional leadership and established traditions of the Muslim community? How far is the phenomenon just the natural tendency of second or third generation migrants to revisit their roots? How far are the drivers domestic and how far intemational? How far do they affect only parts of the Muslim community and how far do they impact on other communities too? Is the primary concern the risk of involvement by a few people in terrorist activity, the risk of inter-community conflict or any wider concerns? Without being clear about the nature of the problem one can only tentatively identify possible responses in general terms. Research - is more needed to be clearer about the nature of the problem and the potential effectiveness of responses? Are we tapping into all external research? Have the lessons of previous problems been leamt? Communication - are we listening enough to the Muslim communities (here and overseas) and understanding what we hear (even where we do not agree with it) . Are we communicating the right messages to the right parts of the Muslim community effectively? If not how can we do better? Equally are we communicating the right messages - positive and negative (in relation to a small minority) - about the Muslim community to others? Economic opportunity - are programmes to ensure economic opportunity for all parts of the Muslim community adequate? If they were given higher priority how would that be achieved without a negative reaction from 'losers'? Should programmes be targeted specifically at the Muslim community or be 'ethnically blind'? Are there lessons to be learnt from the response to alienation of the afro-carribean community in the 1980s? Social and cultural issues - is the only response better communication? Is the full range of Government policy and provision of public services sufficiently sensitive to the social and cultural position? Migration controls - are these helping as much as they should? Criminal Justice (and anti-social behaviour) - the balance between effectiveness and alienation? What is the impact of single faith schools? Foreign policy - should our stance (eg on MEPP or Kashmir) be influenced more by these concerns? How do we communicate our foreign policy to the Muslim community? Where are they getting their information and opinions from? Confronting intolerance - how best to confront intolerance towards the Muslim community, and intolerance of others by some of the Muslim community (most dramatically in the form of support for and even involvement in terrorism) . Would it help to look again at legislation against religious discrimination? So might leaders of other faith groups. Community and faith leaders in the Muslim community will have a role to play, and must perhaps be seen to be involved, although will be effective only to the extent they are really in touch with and can influence disaffected sections of the community. Home Office already has programmes of capacity building in these community organisations - are these targeted at the right bodies? Are the people we are talking to representative of (and in any way accountable to) their communities? The points listed above suggest that CO, ODPM, DfES, HO, DTI, DWP, FCO and HMT all have a substantial interest in this subject. Perhaps we could discuss Whitehall machinery for delivering a strategic response to the issues of concern to Ministers when we meet. I would also like to take that opportunity to discuss who from outside Whitehall could be involved in next steps. My office will be in touch to arrange a time to meet after Easter. I am copying this letter to Mavis McDonald, David Normington, Robin Young, Richard Mottram, Michael Jay, David Omand, Howell James, Nick McPherson, Helen Edwards, Joe Montgomery, Michael Richardson and Nigel Sheinwald. I understand the FCO and Home Office are preparing a paper on Muslim Youth and Extremism . It would be very helpful if you could circulate this when it is ready. Thank you for your letter of 6 April . As background for your inter-departmental meeting, I attach a draft paper prepared jointly by the FCO and Home Office on Young Muslims and Extremism. It draws on a range of sources including intelligence and last year's audit, paper on British Muslims by the Strategy Unit . I also enclose a Home Office briefing paper which summarises information from the 2001 Census, the Home Office Citizenship Survey 2001 and independent polls over the last two years. 2. Extremism can be a symptom of disaffection, the riots in some northern towns three years ago were another. We need policies to handle the symptoms and limit their impact but the broader task is to address the roots of the problem which include the discrimination, disadvantage and exclusion suffered by many Muslim communities (as by other minorities). 3. The links between social deprivation among British Muslims and extremism is not simple cause and effect . Case histories suggest that the British Muslims who are most at risk of being drawn into extremism and terrorism fall into two groups: a) well educated, with degrees or technical/professional qualifications, typically targeted] by extremist recruiters and organisations circulating on campuses; b) under-achievers with few or no qualifications, and often a non-terrorist criminal background - sometimes drawn to Mosques where they may be targeted by extremist preachers and in other cases radicalised or converted whilst in 'prison. Moreover many of the UK's links to international terrorism are from expatriate communities and exiles from abroad, especially North Africa, who are motivated by an international agenda. However we will certainly not be effective in tackling the dangers of extremism without gaining the active cooperation of Muslims, immigrant and British, and that gives us added reason for addressing their problems of social exclusion. 4. The Home Office's work programme is based on a four fold strategy of, first, intensified dialogue with Muslim communities; second, action to help Muslim communities themselves address the main risks of radicalisation; third, research and surveys better to understand the perceptions of our Muslim communities and changes in them and finally ensuring that Government is effectively tackling disadvantage and discrimination faced by Muslim communities. The programme includes the following. We are discussing with Muslim representatives their community's concerns about the operation of'the anti-terrorist powers. Substantial progress has been made in building a closer relationship with the Muslim Council of Britain. The MCB letter of 31 March to Imams and Mosques urging them to be clearer about the incompatibility, of terrorism with Islam and about the need for Muslims to co-operate with the police represented a significant step forward . The ACPO-chaired Muslim Safety Forum has become an increasingly important channel for Muslim/police relations and will be developed as necessary. We plan a more intensive programme of engagement with young Muslims around domestic policy issues. Fiona Mactaggart is working to enlist MPs with large Muslim constituencies as partners in Government's dialogue and engagement with Muslim communities. We are preparing for circulation to departments guidance on Muslim sensitivities and appropriate non-inflammatory terminology. One common feature of cases where young Muslims have become involved in terrorist activity has been a genuine sense of bewilderment on the part of their parents . We think we should explore with Muslim representatives whether there are ways of engaging Muslim parents and helping them to be part of the solution. In prisons, where action has previously been taken to recruit a moderate cadre of Imams chaplains, we are looking to see what further steps are needed . Some faith communities, especially Muslims, are dependent on poorly qualified ministers of religion from abroad with little English or knowledge of our society . We will introduce in June a requirement for ministers of religion from abroad to have adequate English; and launch consultation on additional requirements. Our Community Cohesion team has set up a system for monitoring community tensions in key areas' around the country. This draws on local authority, VCs and police sources including ACPO's new National Community Tensions Team. We are exploring with ACPO a possible supplementary survey of extremist activity in schools and campuses in selected areas. We have in hand a research programme to give us a better insight into the causes of radicalisation and recruitment. That in turn will enable us to devise a better focused strategy for disrupting and preventing radicalisation. Building on the research already in hand, we need, for the future, to build up our understanding of the nature and causes of disaffection and disadvantage. Muslim communities appear to have low levels of civic participation and volunteering, mixed attitudes towards integration and (fairly small) minorities who do not feel loyal or patriotic towards Britain, or think terrorist attacks against the US are justified. But this may reflect demographic rather than faith-specific factors. The position on disadvantage is similarly complex. Muslims are experiencing high levels of disadvantage in terms of employment (especially among women), qualifications and deprivation, but there is substantial variation /between ethnic groups within the Muslim community. The departments leading on social exclusion, unemployment and educational disadvantage need to audit their programmes to ensure that they are reaching and benefiting the Muslim community. Generaliy there is a good level of awareness in Government of the need to target intervention on young people in our Bangladeshi and Pakistani communities, which are among the most disadvantaged. But there is a long standing campaign by Muslims for programmes to recognise and address them as a distinct group and community, rather than relying on ethnic classifications. They are also pressing for the Race Relations Act to be extended to religion. I agree with you that we need to revisit that. We need to ensure that Government policies and public services are sensitive to Muslims needs. The recent "Working Together" Report, about the Government's relationship with faith communities, called for enhanced faith sensitivity in Government on policy development and service delivery. Departments and public authorities are becoming accustomed to addressing race equality in their work, but there is now a need for faith to be mainstreamed The establishment of the Faith Communities Unit in the Home Office is intended to help in facilitating this. 5. It is also important to combat Islamaphobia and persuade the public and the media that Muslims are not the enemy within . Government needs to look for opportunities to highlight Muslim success stories and examples of Muslim contributions to society at national and local level. We need to help and encourage Muslim .organisations to represent their community effectively and in a positive light. The FCO/Home Office paper makes some suggestions on this. Other departments, including DCMS, have a role to play. 6. We think you have correctly identified the agencies and departments which need to be engaged in this work, except that DCMS may need to be included . I would also like to invite input from the Security Service who I believe have an important contribution to make. The lead in the Home Office is being taken by Helen Edwards, Director-General of our Communities Group, supported by Mark Carroll, Director for Race, Cohesion, Equality and Faith. 7. I am copying this letter to Mavis McDonald, David Normington, Robin Young, Richard Mottram, Michael Jay, David Omand, Howell James, Nick Macpherson, Helen Edwards, Joe Montgomery, Michael Richardson and Nigel Sheinwald. 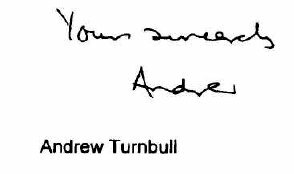 I am also copying it with your letter to Eliza Manningham-Buller. Action plan to prevent young British Muslims from becoming disaffected, alienated and attracted to extremist movements and terrorist activity. Small numbers of young British Muslims have engaged in terrorism, both at home and abroad. Anger: a perception of "double standards" in British' foreign policy, where democracy is preached butoppression of the 'Ummah' (the one nation of believers) is practised or tolerated e.g . in Palestine, Iraq, Afghanistan, Kashmir, Chechnya; a consequent sense of helplessness over the situation of Muslims generally; the lack of any real opportunities to vent frustration. The following quote by a young British Muslim leader best demonstrates the link between extremism/terrorism amongst young British Muslims and foreign policy issues. "What is needed is a debate about the root cause of terrorism, which is our country's foreign policy. As part of a truly globalised community, many young British Muslims carry the burden of struggles elsewhere - Palestine, Iraq and Kashmir." (Quote from Osama Saeed-Muslim Association of Britain, The Observer- 4th April 2004) . Alienation: the struggle to reconcile a modern Islamic identity with modern secular challenges; a general lack of young Muslim participation in mainstream politics and public life; Islamophobia and ignorance about Islam in British society and the media creating alienation, including among educated professionals; a perception that counter-terrorism powers are targeted at Muslims. Activism: a proactive desire to forge an alternative Islamic identity to that of parents but often without an underpinning knowledge of Islam, disillusionment with 'sell-out' mainstream Muslim organisations; a desire for simple 'Islamic' solutions; the search for practical goals and a purpose in life, the need to belong: all driving vulnerable youngsters in unpredictable directions . A number of extremist groups are acriveiy recruiting young British Muslims. Most do not advocate violence. But they can provide an environment for some to gravitate to violence. Extremists target poor and disadvantaged Muslims, including through mosque and prison contact. But they also target middle class students and affluent professionals through schools and college campuses. Others get recruited through personal contact, often by chance, and maintain a low profile for operational purposes . The Pakistani and Bangladeshi communities, which make up nearly two thirds of Muslims in the UK, experience very high levels of economic and educational disadvantage. Overall, Muslims have unemployment three times above the wider population, poor qualifications (over two fifths have none) and high representation in deprived areas. There is work being conducted in this area of engagement by the FCO and Home Office (see attached paper- part II -Action). But to have the required impact, further action will need to be fundamentally cross-governmental (and not just Home Office and FCO), and properly costed and resourced. This requires further consideration, but subject to that the following represent key actions, which will assist in tackling extremism among Muslim youth. l. Conduct focus groups with young Muslims, exploring their views on key aspects of foreign and domestic policy, interpretations of Islam, and the compatibility of being British and Muslim. Focus groups to be drawn from a range of educational, economic and ethnic backgrounds. 2. In light of focus groups, if needed, commission a more detailed and scientific study of Muslim opinions and experiences, to include older generations and some comparison with other faith groups to put the views of Muslims in context. 3. Commission from the police service a survey of disaffection and extremist activity in schools and colleges in key selected areas. 4. Role of the National Community Tensions Team in helping Government to remain informed about levels of disaffection and extremism. 1. Undertake research to extensively map the "Terrorist Career Path", including changes in opinions held, changes in associates or membership of organisations, and specific actions taken by individuals on the path from law-abiding citizen to terrorist. 2. On the basis of this research, develop a comprehensive Interventions Strategy, to enable us to intervene at key trigger points to prevent young Muslims from becoming drawn into extremist and terrorist activity and action. 3. Our work in this area will be focussed on finding local community based interventions, with support for faith, voluntary and community organisations from GOs, local authorities and central government as appropriate. 1. Prepare and circulate to Departments advice on Muslim sensitivities and appropriate non-inflammatory terminology to be used in referring to Muslim issues. 2. Prepare communications plan aimed at combating distorted public and media perceptions of Islam and Muslims. Collaboration on this with moderate Muslim bodies, including student bodies, will further assist Government/Muslim relations. 3. Build capacity amongst information services like MCB Direct, in providing accurate representation for mainstream Islam (i.e. representatives and experts) in the mainstream media. 4. Encourage, assist and promote mainstream Muslim communication channels, i.e. radio stations, newspapers aimed at British Muslims, and television channels. Many of these are set up during a fixed time of the year (Ramadhan), and do not have the capacity to run a full-time set-up. This is what HMG has promoted in the Islamic world. That expertise can be utilised domestically. 1. Projection of British Muslim youth as role models for overseas audiences (e.g. sending delegations of British Muslim youth to 'represent' Britain, signalling UK's pride in its Muslim youth. ), and encouraging young moderate Muslims to become spokespersons for foreign media e.g. digital television. 2. Expand and deepen dialogue with young Muslims on non-traditional foreign policy areas of concern to Muslims, e.g. development (follow-up to UNDP Arab Development Report), globalisation, human rights, etc. 3. European dimension. Enable British Muslim youth to discuss mainstream/European Islam with EU counterparts, as well as how to tackle extremism internally within the European Muslim community. 4. Encourage Muslim youth to take part in local and national youth parliaments (the Bradford Youth Parliament recently visited by Mr O'Brien being a successful model of Muslim teenagers taking part in wider political engagement) . continuing to offer Ministerial speakers for meetings and debates on foreign and domestic issues of concern to Muslims. inviting moderate Muslim youth representatives to participate in consultative discussions with departments on specific issues. 6. Audit government and other publicly funded community capacity building funding to assess the extent to which funds are reaching Muslim organisations and especially those for young Muslims . If necessary, advise Ministers on ways of channelling more funding to this need. 1. Work with DfES, DWP and DWP to address Muslim disadvantage and reduce social exclusion. 2. Ongoing work with the Prison Service to develop a programme of measures to ensure young British Muslims do not leave prisons alienated and radicalised, and holding extremist views. 1. Bring about the development and provision of subsidised training, upskilling and qualifications for home-grown Islamic faith leaders. Training to focus on pastoral, community leadership and management skills. Action in hand, by Learning and Skills Council and Home Office (with FCO involvement). Subsequent roll-out of LSC-subsidised courses. 2. Raise the standards required from ministers of religion including Imams seeking admission and extension of stay. Package to include immediate English language requirement. Religious qualification requirements and civic engagement tests to follow after consultation, in stages during 2004/5. 3. Assist mainstream organisations to promote the many UK-based courses on Arabic and theology, taking away the need for Muslim youth to travel to seminaries in the Islamic world, many of which preach extremist doctrines. Encourage mainstream organisations to put their material on the web. 4. Seek opportunities through Government engagement and recognition, to promote awareness of moderate scholars with followings amongst young Muslims, such as Imam Hamza Yusuf and Imam Suhaib Webb. 5. Strengthen moderate Muslim media organisations (radio stations and publications, such as MCB Direct, e.g. by giving them stories and interviews. More work is needed on promoting Muslim representation in public life. Any feeling that Muslim voices are not heard in places of influence is helpful to extremism . The Home Office should consider what more could be done, and report conclusions. The Home Secretary and Foreign Secretary have commissioned a joint FCO/Home Office paper for the Prime Minister on how to prevent British Muslims especially young Muslims, from becoming attracted to extremist movements and terrorist activity. This paper considers the combination of issues affecting some sections of young British Muslims, which may cause them to become disaffected, and in some cases turns them to extremism. It should be noted that concerns about terrorism are not the only angle from which the Home Office is addressing relations with and disaffection in the Muslim community; in particular, this paper does not encompass the Home Office's wider work on race equality and community cohesion, which also bear on those issues. In terms of the FCO's engagement with British Muslims and Islam it is also much wider than just terrorism, and ranges from policy engagement with British Muslims to engaging with the Muslim world on a raft of different issues. By extremism, we mean advocating or supporting views such as support for terrorist attacks against British or western targets, including the 9/11 attacks, or for British Muslims fighting against British and allied forces abroad, arguing that it is not possible to be Muslim and British, calling on Muslims to reject engagement with British society and politics, and advocating the creation of an Islamic state in Britain. The paper comments on whether there is a link between extremism and terrorism, and how we might seek to prevent young Muslims from becoming attracted to them. It does not address the prevention of terrorism, issues about intelligence-gathering or activity in the UK by non-British Muslims. The assessment draws on input from the Security Service, cases of British Muslims known or suspected to have become involved in extremist activity abroad or at home, insights from individuals who have become disillusioned with such movements, available surveys of Muslim opinion, discussion with Muslim representatives and advice from our departmental Muslim advisers. For the purposes of this paper we are, focussing on those young Muslims who were either born in the UK or who significant ties to it rather than those who have acquired British nationality more recently. It takes account of the Strategy Unit's Strategic Audit paper on British Muslim Communities (July 2003). A small number of young British Muslims are known to have committed or participated in terrorism abroad or to have joined violent or militant organisations in other countries, e.g. the British suicide bombers in Israel. There have been public meetings advocating extremist positions, some quite well attended. For example, Hizb-ut-Tahrir organised a conference entitled `British or Muslim' conference, in September estimated to have attracted 10,000 (although some of these will have gone expecting an open debate rather than what turned out to be a one sided advocacy of extremism). Increasing numbers of British Muslims, often young, have needed UK consular services after being detained on suspicion of terrorist or extremist activity in other parts of the world (eg Yemen, Egypt and the US). Polls between November 2001 and December 2002 suggested that a relatively small, but not insignificant minority of British Muslims felt some sympathy for terrorist attacks on the USA, did not feel loyal to Britain, did not condemn British Muslims who fought against allies in Afghanistan or thought Muslims have gone too far in integrating into British society. The ICM poll published in the Guardian on 15 March 2004 recorded 13% of British Muslims as thinking that further terrorist attacks on the USA would be justified. In each case, substantial majorities took the opposite view but the existence of minorities disposed towards extremist positions cannot be ignored and needs to be better understood. But we need to put this into context. We know that a large number of young Muslims are able to integrate into society, define a British Muslim identity for themselves and contribute positively to society. Anecdotal evidence suggests Muslims who have experienced life in other European countries often say that acceptance is better in the UK (this perception is likely to have been enhanced by France's decision to ban the wearing of conspicuous religious symbols in schools). Neither a strong sense of Muslim identity (including a sense of community with Muslims world-wide) nor strict adherence to traditional Islamic teachings are in themselves dangerous or problematic. The number of young Muslims in Britain who are actively espousing extremist politics may be very small, though we need to get a better feel for this. Policy objectives include persuading young Muslims that they can be Muslim and British, and that Islam is not regarded with hostility. In this context the term `Islamic fundamentalism' is unhelpful and should be avoided, because some perfectly moderate Muslims are likely to perceive it as a negative comment on their own approach to their faith. One key action point is the need to improve our evidence about the extent and causes of extremism, and of the links if any between extremist sentiment on the Muslim community and terrorist activity. At this stage all we can say is that there are a variety of issues that impact upon British Muslims, including young Muslims, and may increase the likelihood of their moving towards extremism. The factors discussed below are based partly on survey evidence but partly on the subjective impressions of Home Office and FCO officials and Muslim advisers, taking account of their contacts with Muslim leaders, clerics and academics and monitoring of publications. It seems that a particularly strong cause of disillusionment amongst Muslims including young Muslims is a perceived `double standard' in the foreign policy of western governments (and often those of Muslim governments), in particular Britain and the US. This is particularly significant in terms of the concept of the "Ummah", i.e. that Believers are one "nation". This seems to have gained a significant prominence in how some Muslims view HMG's policies towards Muslim countries. Perceived Western bias in Israel's favour over the Israel/Palestinian conflict is a key long term grievance of the international Muslim community which probably influences British Muslims. This perception seems to have become more acute post 9/11. The perception is that passive `oppression', as demonstrated in British foreign policy, eg non-action on Kashmir and Chechnya, has given way to `active oppression' - the war on terror, and in Iraq and Afghanistan are all seen by a section of British Muslims as having been acts against Islam. This disillusionment may contribute to a sense of helplessness with regard to the situation of Muslims in the world, with a lack of any tangible `pressure valves', in order to vent frustrations, anger or dissent. Hence this may lead to a desire for a simple `Islamic' solution to the perceived oppression/problems faced by the `Ummah'- Palestine, Iraq, Chechnya, Kashmir and Afghanistan. A case in point is the March 2004 ICM poll of Muslim opinion asked "Jenny Tonge, a Liberal Democrat MP said she condemned all forms of terrorism, but if she had to live in the same situation as a Palestinian she might consider becoming a suicide bomber herself. Do you agree or disagree with her?" 47% agreed with the statement, whilst 43% disagreed. Perceived Islamophobia (particularly post-9/11) in society and the media may cause some British Muslims including young Muslims to feel isolated and alienated and in a few cases to reject democratic and multi-cultural values. The Cantle report identified polarisation between Pakistani/Bangladeshi and white communities as a factor in the 2001 disturbances. The young people involved in these disturbances included educated professionals as well as under privileged people. Lack of understanding of Islam - insensitive use of language and perceptions of Islam and an ill-informed assumption that Islam's teachings are inherently extremist. Media coverage of extremist fringe groups increases this. Muslims perception of bias in the way counter-terrorism powers are used to stop, detain and arrest people, both at ports and in-country. Attainment - Muslims are more likely than other faith groups to have no qualifications (over two fifths have none) and to be unemployed and economically inactive, and are over-represented in deprived areas. However, this is largely associated with the disadvantage of the Pakistani and Bangladeshi communities, whereas the experience of Indian and Arab Muslims is much less disadvantaged. Lack of participation and representation - There is still low Muslim representation in mainstream institutions of influence, especially for women - eg in public appointments, volunteering and mainstream politics (although the Home Office Citizenship Survey 2001 suggests that low Muslim participation rates largely reflect non-faith factors such as education, economic empowerment, age and gender). Parts of the Muslim community are still developing an understanding of how to reconcile their faith and Islamic identity with living in a secular multi-cultural society, and with modern social challenges. There is a developing critique by some within the Muslim community, both abroad and here, that traditional Islamic jurisprudence is not equipped to fulfil the needs of Muslims living in the West and needs to be developed and updated. There are tentative moves towards developing Islamic jurisprudence for Muslims living in Europe and the Western World. There are particular issues for young Muslim women who face some of the most complex clashes of culture. We need to think hard about the positive impact they can have with the right support. There are 1.6 million Muslims in Britain/the UK. About half belong to the Pakistani and Bangladeshi communities, which are among the most deprived educationally and economically. The remainder belong to Indian, Arabic and other ethnic communities, some of which are less deprived. Over half of Muslims are under 25, compared with a third of the population as a whole. Reliable survey data on Muslims is scarce. One exception is new data from the Home Office Citizenship Survey 2001. On identity it revealed that faith ranked second after family. This is particularly strong amongst young people aged 16-245. The majority of all faith groups were satisfied with government and employers' protection of their rights. However, a significant minority of especially young Muslims (37%) were not satisfied. Young Muslims are less likely than all faith groups to participate in civic activities (39% and 30% respectively) and Muslims are the least likely to volunteer. The data does not show that faith is itself the cause of disadvantage6 or disengagement or that they are linked with extremism. On engagement, the HOCS suggests that other factors such as economic empowerment, age and gender are more significant drivers than faith. a large group no longer identifies positively with their Muslim origins. There is a spectrum of extremist organisations to consider, e.g. Al Muhajiroun, Hizbut- Tahrir, as well as less organised groups who follow a particular extremist doctrine, eg jihads, radical deobandis, etc. (See Annex C for evidence). In the majority of the cases, the ideological doctrine and even the methodology are not constructs of Muslims born in the UK, rather they are the British based brands of organisations that are found in Europe and the rest of world (the majority of which originate from the Middle East and the Asian sub-continent but have bases all over Europe and the world). Most of the structured extremist organisations, e.g. Hizb-ut-Tahrir, will not directly advocate violence. Indeed membership or sympathy with such an organisation does not in any way pre-suppose a move towards terrorism . What it may indicate is the possibility of a few of its members being open to gradual consideration of far more extremist doctrine (e.g. these `non-violent' extremist organisations allow members or even sympathisers to contemplate opening `Pandora's box'). However those with very extremist or even terrorist tendencies may also be put off by these extremist organisations as they may view their activities as `pointless pontification and debate'. They may demand more direct action and less talk and hence may not become involved with them. Surveys after 9/11 provide an indication - though not a reliable measure - of Muslim attitudes7. There is no data on how they compare with views of other faith groups. The data shows the great majority of British Muslims (up to 85%) regarded terrorist attacks on western targets, including the 9/11 attacks, as unjustified. The great majority (up to 87%) felt loyal to Britain. A majority felt patriotic (67%) and thought it wrong for British Muslims to fight against allies in Afghanistan (62%). A survey of young Muslims in 2001 showed strong feelings of outrage at the 9/11 attacks and that the majority believed that Islam either prohibited or discouraged such attacks. However, a minority of Muslims defend terrorism (up to 13%). A minority did not feel loyal to Britain (up to 26%). Some young Muslims who join extremist groups or are targeted by them are poorly educated and from deprived backgrounds. Students and young professionals from better off backgrounds have also become involved in extremist politics and even terrorism . They provide better recruits, as they may have the capability for wider and more complex proselytising . Extremists are known to target schools and colleges, where young people may be very inquisitive but less challenging and more susceptible to extremist reasoning/arguments. There is evidence of the presence of extremist organisations on campuses and colleges (often when an organisation is named as a banned organisation on a campus, its members will set-up a society under another name - the 1924 Society, Muslim Media Forum and Muslim Cultural Society all have extremist tendencies). Individuals who are looking for an alternative to the brand of Islam their parents may have taught them, and/or are looking for a more prominent form of identity but who have little knowledge about Islam may be ideal recruits for extremists. However this form of identity can also be non-extremist and may take the form of criminality, or other cultural/belief systems. With regards to Muslim youth who may have recently started practising, these organisations offer a fulfilment of the `Islamic obligation' of being in a jama'ah (collective work for Islam/Muslim Ummah). For young Muslims looking to rebel against their taught values, the wider community or the government these groups can provide a cathartic and vocal `pressure valve' for anxieties, frustration and helplessness felt by a number of British Muslim youth over a whole range of issues. Intelligence indicates that the number of British Muslims actively engaged in terrorist activity, whether at home or abroad, or supporting such activity is extremely small and estimated at less than 1%. It is difficult to generalise about the profile of young British Muslims who are attracted to Islamist terrorist activity either in the UK or overseas. Backgrounds and motivation to undertake terrorist or related activity vary. They range from foreign nationals now naturalised and resident in the UK arriving mainly from North Africa and the Middle East, to second and third generation British citizens whose forebears mainly originate from Pakistan or Kashmir. In addition, whilst many have grown up in Muslim households, a significant number come from liberal, non-religious Muslim backgrounds, or only converted to Islam in adulthood. These converts include white British nationals and those of West Indian extraction. By and large most young extremists fall into one of two groups: well educated undergraduates or with degrees and technical professional qualifications in engineering or IT; or under-achievers with few or no qualifications, and often a criminal background. The former group is often targeted by extremist recruiters circulating among university-based religious or ethnic societies. Amongst the latter group some are drawn to mosques where they may be targeted by extremist preachers; others are radicalised or converted whilst in prison. However, a significant number of young radicalised British Muslims have been recruited through a single contact, often by chance, outside either of these environments. Such individuals are encouraged to maintain a low profile for operational purposes and do not develop the network of associates or political doctrines common to many other extremist Islamists . Our understanding of the radicalisation process (what we have begun to call the "Terrorist Career Path") is still developing. Much more work needs to be done to identify the steps along the path where Government and community groups can intervene and prevent radicalisation. As our research progresses, it will inform the cross governmental work being done on engaging with the Muslim communities. (a) Muslim extremism matters for two separate reasons - it is a potential threat to community cohesion and a potential cause of terrorist activity. (b) It is important to understand the broader context and maintain perspective. Criticism of foreign policy is not confined to Muslims or minority communities. A number of Britain's faith and ethnic communities have multiple identities (eg many Hindus feel an affinity with India and many Jews with Israel) and the Government's approach to integration, which rejects assimilationism, accepts and encourages that. It is when some Muslims feel that they cannot be British and Muslim that we need to be concerned. (c) From available polls and anecdotal evidence, many Muslims are unhappy and angry about aspects of British and foreign policy, because they perceive it as biased against or unfair towards Muslims in the world. Palestine, the conflict in Iraq and Chechnya are just some of the issues. (d) Information about the state of opinion in the Muslim community is limited and generalisations need to be treated with caution. We should both monitor movements in opinion through repeated surveys or focus groups and seek to understand what causes those opinions through further research. (e) Parts of the Muslim community fear that the government, the media and the wider community regard them with suspicion and hostility, and feel beleaguered as a result. Some Muslims also currently feel anxious and angry about arrests and searches under anti-terrorist powers, which they perceive as being applied excessively and abusively. We should not lightly dismiss as unrepresentative the campaign on this currently being mounted by the mainly moderate Muslim Council of Britain and other organisations. (f) Despite these concerns, it is likely based on the 2001/02 surveys that only a minority of British Muslims hold extremist views, though the size of the minority varies according to what particular views one is measuring); and probably only a minority of those holding such views take any active part in extremist organisations like Hizb-ut-Tahrir and Al Muhajiroon. (g) However, we need to guard against focussing on these high profile, vocal and highly visible organisations because of as much concern from a counter - terrorist perspective are those groups which are not formally organised and have no badge or label. We do not currently know what distinguishes these minorities from the moderate majority. 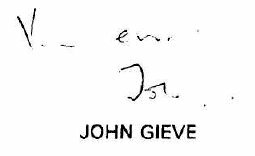 The Security Service has some evidence that those who go on to become involved in terrorist related activity have been radicalised as a result of associating with loose networks that revolve around a respected key individual. Indeed, many have been encouraged to retain a low profile and not to be seen to openly expose extremist views. We do however know quite a lot about the ways in which extremist movements attract followers. A common motivation for these diverse groups may be a common need to belong and to gain a sense of purpose. Often disaffected lone individuals unable to fit into their community, will be attracted to university clubs based on ethnicity or religion, or be drawn to Mosques or preaching groups in prison through a sense of disillusionment with their current existence. Volunteering to a jihadist cause abroad, or embracing a stricter Muslim lifestyle, is often seen as an answer to this lack of purpose. On the FCO's side there are a number of initiatives, which directly or indirectly impact on some of the issues highlighted. These range from Ministerial outreach, customised information resources for young Muslims, participation in `campus' debates' to sponsorship of activities of Muslim student groups. (See Annex D- FCO minute of 5 November on `Engaging with Mainstream Islam' & Annex E- FCO minute of 27 October on `Islam & Europe). In addition to these, there are a number of horizontal activities and policies in place, which overlap on this issue. The British Council through its international cultural relations activity has facilitated opportunities for young and emerging leaders of British Muslim communities to work with counterparts from around the globe. It has also supported preparatory classes in Pakistan for Imans due to take up posts in the UK. The Home Office is engaged in a series of meetings with Muslim leaders to address Muslim concerns about the use of counter-terrorism powers. It has conducted some practical interventions as well as some long-term work that aims to create a better environment for young Muslims within the UK, for example through consultations with Imams, Mosque officials and local representatives (including young people), and by developing contacts with Muslim youth organisations, assisting in DfES policies, looking into Islamic mortgages and encouraging inter-faith dialogue (see annex F). Engagement with the Muslim communities, including young Muslims, by the Education Secretary on faith issues in schools and higher education is an example of work by other Whitehall departments. The mainstream Muslim community has been vocal in its public condemnation of extremism. For example, the Muslim Council of Britain expressed sympathy with the people of Spain after the Madrid bombs and has recently written to Imams calling on Muslims to report suspicions to the police. The Islamic Society of Britain and figures such as Abdal Hakim Murad of Cambridge University, Dr Manazir Ahsan of the Islamic Foundation and Dr Zaki Badawi have also spoken out. Muslim engagement in mainstream public life politics is still under developed. There have been a few practical steps taken such as the formation by the Muslim Council of Britain of the MCB Direct information service. The involvement of the Union of Muslim Students (UMS) and the Federation of Student Islamic Societies (FOSIS) in student politics is helpful. However these activities seem to be in a fledging stage and under-resourced or else are carried out in an ad hoc manner. There are [ ] Muslim MPs and [ ] Muslim Peers, but Muslims remain under represented in public appointments . (a) to isolate extremists within the Muslim community, and to provide support to the moderates, equipping and encouraging them to oppose the extremist threat within their communities. But it is important to identify moderates correctly - some of those who are influential in the extremist world purport to be moderates. (b) to help prevent young Muslims from becoming ensnared or bullied into participation in terrorist or extremist activity . The government needs to redouble its efforts to develop a more constructive relationship with the moderate majority and their representatives and leaders. So long as Muslim leaders appear defensive or hostile, and ambiguous in their condemnation of terrorism, some non-Muslims will remain suspicious and extremists will draw comfort. Mainstream Muslim religious leaders indicate that extremists use a distorted and selective interpretation of Islamic teaching to support their positions. We need to encourage moderates to challenge such positions and provide leadership. Our two departments are jointly taking forward a number of measures. Details are at Annex A. We need to understand the evolution of the "terrorist career path" and develop a comprehensive Interventions Strategy, to enable us to turn people from the path. The Home Office, in conjunction with the security services and other government departments will be developing a program of research in this area. More generally we need to intensify our engagement with young Muslims, in order to better understand opinion and seek to influence it. We need to address Muslims' sense of injustice about anti-terrorist arrests and searches. The Home Secretary and Fiona Mactaggart have initiated a series of contacts with Muslim leaders to address and respond to these concerns. The issue of foreign policy concerns of the Muslim community needs to be addressed. This is often the area of government policy which generates the most anger and sense of injustice among Muslims generally, but particularly amongst the younger generation. The FCO is already in the process of extensive engagement and outreach, and has produced a strategy on building bridges with mainstream Islam (Annex D). The Home Office is actively engaged with leaders of the Muslim community, for example around their concerns on the use of counter terrorism powers and in the wider context of the Working Together review. We need to continue to build on the momentum created by this work. We need to focus specifically on influencing opinion among young Muslims. Mike O'Brien and Fiona Mactaggart are undertaking a number of joint meetings with Muslim students across a variety of campuses. The government must make a more concerted effort to persuade the Muslim community that it is trusted and respected. That requires a change of language. Public challenges to Muslims to decide where their loyalties lie are counterproductive. Expressions of concern about Islamic fundamentalism should also be avoided, because many perfectly moderate Muslims follow strict adherence to traditional Islamic teachings and are likely to perceive such expressions as a negative comment on their own approach to their faith. The shrill and defensive tone which has been adopted sometimes, in the past by some Muslim representative bodies risks alarming Muslims rather than reassuring them. We need to make further progress in transforming our relationship with the MCB and others into one of greater trust and partnership, building on the helpful contacts which the Home Secretary and Foreign Secretary have had with them recently. Ministers of both departments plan regular meetings with Muslim representatives. It is privately, within such partnerships, that Muslim representatives should be challenged to work harder at improving their relations and image with other communities, and to be more unequivocal in their condemnation of terrorism and espousal of democratic values. We need to find ways of strengthening the hand of moderate Muslim leaders, including the young Muslims with future leadership potential, through the status which contact with government can confer, and through practical capacity building measures. Linked to that, we need to find ways of supporting the Muslim community in efforts to improve the quality of Imams, many of whom are poorly educated and come from unsophisticated backgrounds abroad with little understanding of the UK and sometimes with crude and extremist teachings . Planned work includes measures to encourage more home grown Imams and raise the qualifications of Imams from abroad through changes in immigration rules. This annex will contain the same action plan as is set out in the Summary paper. Hizb-ut-Tahrir (HT) and Al Muhajiroon are probably the two extremist organisations with the highest profile in Britain. They are therefore a good case study as an example of some of the types ofbeliefs held by extremist organisations. Both organisations come from the same origins (i.e. Al Muhajiroon is a breakaway organisation from HT). The movement itself was founded by a Palestinian jurist by the name of Tagi-ad-din Nabhani. The British counterpart was set-up by the Omar Bakri Muhammad. "Hizb ut-Tahrir is a political party whose ideology is Islam, so politics is its work and Islam is its ideology. It works within the Ummah and together with her, so that she adopts Islam as her cause and is led to restore the Khilafah (Caliphate) and the ruling by what Allah revealed. Hizb ut-Tahrir is a political group and not a priestly one. Nor is it an academic, educational or a charity group. The Islamic thought is the soul of its body, its core and the secret of its life." Both organisations believe in a 3-stage methodology of reviving the Caliphate, the first two stages being the most important. Stage One: `Culturing' people in their way of thinking, and recruiting members to propagate the revival of the Caliphate as the way to salvation' . Stage Two: "Publicly" opposing the non-Muslims and those Muslims who have `strayed' from the true path of Islam. HT consider themselves to be at stage one, whilst Al Muhajiroon consider themselves to be at stage two. b.) Al Muhajiroon- A conference on the `Magnificent 19'- commemorating those responsible for 9/11. If it is taken that both organisations are part of the same ideology, the statements below (made at the Al-Muhajiroon conference) are an indication of their beliefs and methodology. l.) A Fatwa that those who join the British army are apostates and those who fight in Iraq or Afghanistan or elsewhere against Muslims are apostates because of their war against Muslims. 2.) That integration with the Kuffar (Non-Muslims) and their kufr (non-belief) is not allowed and no one should be proud to British or become MP's, MI5 members, government officials, etc. Indeed to join these bodies is an act of apostasy. 3.) To urge Muslims world-wide to work for the establishment of the Khilafah, a vital issue for Muslims today following 79 years living without an Islamic state. 4.) To urge Muslims to support the Jihad wherever it is taking place, whether in Kashmir, Palestine, Chechnya, etc- against the aggressors, usurpers and occupiers in those regions . 5.) To call Muslims to do all they can to free the prisoners in Guantanamo Bay. 6.) To call the Queen, the British establishment and the public to embrace Islam. 7.) To explain that Muslims living in the US and UK are generally under a Covenant of security in that, in return for their life and wealth being protected they cannot attack the lives or property of the host nation. But those outside the UK & US do not have such a covenant with the UK and the US. 8.) To tell Muslims not to be intimidated by the many new laws introduced against them, such as those related to terrorism, immigration or by the raiding of their mosques and homes. 9.) To dignify and honour the Magnificent 19, who sacrificed their lives for Allah on 9/11 . 10.) To expose the moderate munafigeen (hypocrites) who start to cry for the British government, and yet claim they are defending Islam. 75-87% felt loyal to Britain (67% felt patriotic), 41% felt Muslims needed to do more to integrate. young Muslims were far more likely than young Christians to regard religion as important to their self-identity (74% against 18%). The figures for young Sikhs and Hindus were also high (63% and 62%). young Muslims were more likely than other faith groups to think that the government was doing the right amount to protect people belonging to religions. The Hizb-ut-Tahrir conference `British or Muslim' hoped to attract 20,000 people in 2003 (the actual attendance is estimated to being closer to 10,000). This represents less than one percent (0.6%) of the British Muslim population. And the Al Muhajiroun 2003 conferences `the Magnificent 19' on September 11 were cancelled and the main conference in London was mainly attended by press with no supporters from the Muslim communities other than the organisers. FCO UPDATE ON "BUILDING BRIDGES WITH MAINSTREAM ISLAM"
1. You will recall that Mr O'Brien agreed a number of submissions on strengthening our relationship with the British Muslim community, including the main strategy on `building bridges with mainstream Islam'. Much of it is still work in progress: this is an update on where we are and what is ahead. 2. There has been a step change in our work with British Muslims. This is reflected above all in de-sensitising interaction with the FCO. Many mainstream organisations now feel more comfortable in engaging with us, and any previous stigma in doing so has been lessened. For example, we have managed to build working relationships with organisations that have previously been critical of us or have even declined to attend meetings. These include ISB, Q News, YMUK, FOSIS, etc. Even with regards to an organisation like the MCB, our relationship with them has perceptively changed, e.g. they are taking an active part in working with us on future activity, as well as positively reviewing our activities on the MCB Direct website. Ministerial outreach to British Muslim community organisations in London (pre and post Iraq), Birmingham and Bradford. In each case there has been growing interest from both the local and ethnic minority press. 'Think-again' CD-ROM- this was an interactive 'one-stop shop' resource on the FCO and HMG's policies, for the Muslim community. It has been well received and we have extended the franchise to other communities. Receptions- these have been continued for both Eids, and are a way to provide access for members of the Muslim grassroots, to the FCO. Regular Ministerial briefings with Muslim representatives- the meetings are always well received as they are seen as a means of highlighting concerns at the highest level, and maintaining regular contact with the British Muslim communities. They tend to highlight the issues of the `moment' amongst the Muslims. Our willingness to invite those who are publicly critical of HMG, has helped produce some change in perceptions ofthe FCO/HMG. Engagement with Muslim youth- This has included meetings with delegations from Muslim youth and student organisations, and Mr O'Brien's participation in debates on Iraq which had been organised on campus. De-sensitising & Participation- We have participated in some of the big Muslim community events/activities, e.g. MCB direct, EMEL, Islam Awareness Week, Living Islam 2003, Expo-Islamia, etc. As a follow-up to Fraser's minute of 6 October to Heads of departments, on linking generic outreach with the specific activities of FCO depts, we will be meeting soon with NENAD, MED, AD (E), CTPD, Consular, SAD and SEAD. We will continue to co-ordinate closely with the Home Office on issues of mutual interest with regards to building bridges with mainstream Islam, as well as wider outreach. Focus groups: This will concentrate on the generational differences within the British Muslim community on foreign policy issues. We will also attempt to conduct these amongst the different Muslim ethnic groups. We are trying to carry this out in co-operation with the HO and BC. Direct Promotion: As agreed by Mr O'Brien, we will send a revised version of the FCO `Muslims in Britain' booklet (in conjunction with MCB) to 15,000 British Muslim households, as a pilot run. There is the potential of up to 400,000 households if the pilot test proves to be successful. Research on British Muslim youth and extremism: PaNDU commissioned research on this issue, which includes data from `defectors' from extremist organisations . I will submit on this soon, and it will also feed into the HO/FCO paper on this issue to the PM (as agreed by the Foreign Secretary and the Home Secretary) . Mainstream Imams: This will focus on the issue of Imams and extremism, and will include (as agreed) a Ministerial visit to the Islamic Foundation and a seminar with British Imams. New Focus: Islam & Europe: I have already minuted on this issue. The activities will involve amongst other things, informing EU Embassies of our work with British Muslims, and a Europe and Islam seminar. Communications: This will include customised resources for British Muslims (booklet, video and revised CD-ROM). Outreach: In addition to the proposed cities for wider outreach seminars- (Fraser's minute of 4 November) where possible, we will try to include visits to various organisations, including those which are specifically Muslim- I would recommend that the Minister also visit Tower Hamlets (London), Leicester and Slough . These areas have some of the highest concentrations of Muslims in the UK. Promotion of Mainstream Islam: We are sponsoring the creation of a new award (Ibn Khaldun award for excellence in promoting understanding between global cultures/faiths) for the annual Muslim News Awards, which will take place in March. We will also support the production of literature promoting mainstream Islam, a series of public lectures (in partnership with a mainstream organisation) and a FCO symposium on the issue. Engagement with Muslim youth: In addition to including youth organisations to Mr O'Brien's outreach programmes, we will assist Muslim student organisations co-organise a seminar with their Jewish counterparts at the NUS conference, on international issues. Engagement with new interlocutors: There are a number of new individuals/organisations who are influential amongst British Muslims. These include; Amr Khaled (a moderate and extremely popular lay preacher from Egypt, who is based for the immediate future in the UK and also has a large following amongst British Arabs) and the Muslim Public Affairs Committee (MPAC). We are in the process of forming relationships with these individuals/groups. However, it would be useful for the Minister to meet them. 6. In addition to the priority work with British Muslims as outlined above, we are balancing it with our other engagement . We have a 10-point action plan on engaging with Ethnic Minorities, which is nearing completion (and the Minister has agreed to host a reception in February to mark it). Also as a result of Multi- Faith week, the seminar in particular, we are working on an action plan for Faith Communities, which we will be submit on once we finish consulting people at the seminar. 1. I attended a conference in Brussels, in late September, organised by the Forum of European Muslim Youth & Student Organisations (FEMYSO) and the issue of Muslims in Europe. The event took place in the European Parliament and was attended by over 150 delegates (mostly under the age of 30) from across Europe, including Britain. The event was addressed by several MEPs, the President of the Parliament and a British Muslim academic who regularly advises the MoD. Other attendees included representatives from the US Embassy, as well the leading Muslim leader/speaker in Europe- Dr Tariq Ramadhan. 2. The conference was well received and discussed issues impacting European Muslims, including foreign policy. 3. A large number of leaders of the organisations said that HMG was well regarded because of the dialogue and engagement it has developed with British Muslims. They added that in many cases, this could not be said of their own governments. Many of the people, who held that view, included leaders and executive members ofinfluential European Muslim organisations. This view was emphasised to the British Muslim attendees. 4. An interesting phenomena which seems to be emerging is that an increasing number of second/third generation British Muslims (as well as those in countries such as Germany, Belgium, France and Italy), are going further than just defining themselves by their nationality or their Muslim identity generally. Instead they seem to be defining themselves as `European Muslims', in the same way as there are `African Muslims' or `Asian Muslims'. This seems to be directly linked to the common denominator that Muslims in European countries share, i.e. they are all minorities in their respective countries . As a result, `Islamic' jurisprudence is developing in order to cater for this developing identity. As would be expected, this `European Muslimness' is more pronounced in other European countries than in the UK, but it is increasing rapidly here, e .g. the Vice-president of FEMYSO is a British Muslim. 5. As discussed, we should inform the embassies of countries such as Germany, France, Italy, etc, and our embassies in those countries, of our strategy of building bridges with mainstream Islam, as the assumption is that there will be a great deal of interest. 6. In that context it would be worthwhile for us to support and host a wider seminar on Islam & Europe, organised principally by British and European Muslim organisations. It seems that we are seen as having the best model of dialogue with Muslims, and an event of this kind, especially with upcoming young leaders would help to endorse that. Further, if `European Muslimness' is one of the emerging identities amongst Muslims in the West, including amongst British Muslims, it would make sense to understand it better. I would expect interest from DSI, research analysts, the British Council and the Home Office, especially if we can involve figures such as Dr Tariq Ramadhan and Imam Hamza Yusuf I have seen the E-mail you have forwarded me, from Rosemary Waugh with regards to a possible UK/French Muslim event next year. With some planning, this could all fit together. "The HO held consultations with Imam and Mosque officials in Birmingham, Bradford, Blackburn and East London. Young Imams (17 -25 year olds) also attended these seminars. The HO already has a network of contacts with young people from various organisations such as FAIR, Muslim Youth Helpline, FOSIS and recently the new UMS. However plans are to reach out to the more disaffected young people as well as young Muslim professionals through community and personal contacts via a series of seminars/consultations. The next round of consultations planned are focusing on young people and women. These will target colleges, F.E. institutions as well as H.E. institutions. Ministerial meetings with young Muslim people and young Muslim organisations. HO acted as facilitators in preparing and briefing for the FOSIS meeting with Charles Clarke, about DfES policies. HO has also developed research specifications about British young Muslims and British Muslim women. The purpose is to obtain a quality, comparative study that gives us more information about both groups, in comparison to other faiths, so that we can understand the issues and develop a strategy based upon research. HO produced guidance on entering religious premises for the police. Support for the Muslim Safety Forum in developing a constitution. Development of a package to ensure that Imams from abroad in the UK are better equipped to meet the needs of British Muslim congregations in a modern, democratic and cohesive society. Investigating right-to-buy Islamic mortgages with ODPM and the Housing Corporation. Piloted intervention model between Police and young Muslims at International Test Match. Socio-economic data from the census and the 2000 Index of Multiple deprivation reveals significant levels of disadvantage experienced by the Muslim community. 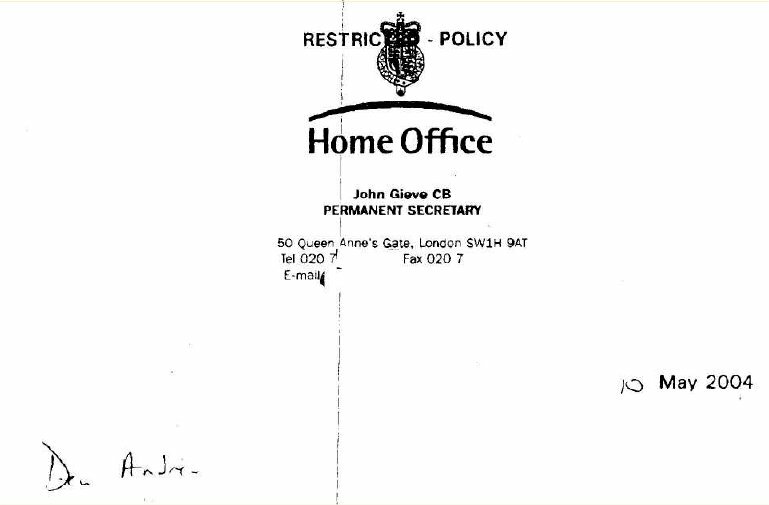 Reliable survey data covering Muslims from the Home Office Citizenship Survey 2001 contains some positive messages: strong faith identity and satisfaction with government action to protect people belonging to religions. But it also shows low levels of participation and volunteering. Less reliable (indicative) data from opinion polls conducted amongst Muslims contains mixed messages: strong opposition to terrorism and loyalty to Britain but strong disapproval of foreign policy and significant concern about discrimination. Two important caveats need to be borne in mind throughout. Firstly, whilst the data does reveal disadvantage and issues of concern amongst Muslims, it does not prove any association between disadvantage and `disaffection' or `extremism'. If participation is used as a proxy for engagement then the finding that Muslims have low levels of participation is unremarkable, since this is common to other minority faith groups. Secondly, with the exception of faith identity, the data does not show that faith is itself strongly associated with socio-economic outcomes or attitudes. In other words, whist the data shows Muslims experience high deprivation, it does not show that this is because of their faith. Other factors might be more relevant (e.g. education, class and ethnicity). Identity: For Muslims the role of faith for self- identity ranked second only to family. This was also the case for other minority faiths. The importance of faith to self-identity is particularly strong amongst younger people. Nearly three quarters of young Muslims viewed religion as important to their identity, along with almost two thirds of Sikhs and Hindus. Religious discrimination: The majority of all faith groups were satisfied with government and employer action to protect rights of people belonging to religions. But a significant minority of Muslims, and especially young Muslims were not satisfied. Active citizenship: Participation of Muslims is around three quarters the rate of all faith communities as a whole. Young Muslims are least likely to participate, compared with all faith groups . Muslims are least likely of all faith groups to engage in volunteering. Attitudes: High rate of condemnation of September 11 attacks; strong disapproval of war in Afghanistan and concern for Muslim countries; strong support for ban on religious discrimination; widely loyal to Britain; mixed views on citizenship issues. Muslims occupy the most disadvantaged position in the labour market compared with other groups. Compared with the population as a whole, the unemployment rate for Muslims is around three times higher. Economic inactivity rates are higher and economic activity rates are lower. The unemployment rate8 of Muslims is more than three times that of the population as a whole and is the highest of all faith groups. 14.6% of economically active Muslims were unemployed compared with 5% for the population as a whole. Muslims have the lowest rate of economic activity9 of all faith groups - around half of Muslims (48%) are economically active compared with around two-thirds the population as a whole (66.5%). Around half of Muslims are economically inactive (52%) . This is higher than that for any other group and is over one and a half times the rate for the population as a whole (33.5%). Note: this data concerns men and women. The situation for Muslim women will be significantly different. Muslims, are over-represented at the bottom of the quafifications rankings. Over two fifths have no qualifications. 43% of Muslims don't have a (recognised) educational qualification. This is the highest rate of all faith groups and compares with 36% of all people. After Christians (17.5%) Muslims were least likely to have higher qualifications (20.6%). Data from the 2000 Index of Multiple Deprivation. Muslims are-over-represented in local authority areas that are deprived. 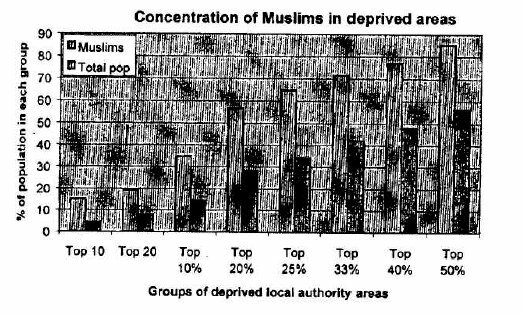 The most, deprived areas have a disproportionately higher concentration of Muslims. The link between deprivation and Muslim residency is strong. Over a third of Muslims (35%) live in the most deprived 10% of local authority areas (35 districts). This is more than twice the concentration compared with the population as a whole (15%). More Muslims live in deprived local authority areas than in non-deprived areas. Over half of Muslims (57%) live in the most deprived 20% of local authority areas. This compares with 28% for the population as a whole. Nearly two-thirds of Muslims (65%) live in the most deprived 25% of local authority areas. Amongst the population as a whole the proportion that live in the same local authority areas is around a third (34%). For Muslims the role of faith for self- identity ranked second only to family. This was also the case for other minority faiths. The importance of faith to self identity is particularly strong amongst younger people. Nearly three quarters of young Muslims viewed religion as important to their identity, along with almost two thirds of Sikhs and Hindus. The importance of religion as a part of people's self-identity varies by faith group. For Muslim, Hindu and Sikh respondents religion was ranked according to frequency of being reported second only after family. Amongst Christians (and for all faith groups) it ranked seventh - almost mid-way in the ranking out of 15 possible factors. There are other variations within this. For example, of 16 to 24 year olds the largest proportions who reported religion as important to their self-identity were Muslims (74%), Sikhs (63%) and Hindus (62%). This compares with much smaller proportion of Christians of the same age (18%). Similarly amongst 25 to 49 year olds and amongst those aged 50 and over, the largest proportion reporting religion as important to identity were Muslims and Sikhs. Variations also exist by ethnicity and multivariate analysis indicates the difficulty with untangling whether religion or ethnicity is more strongly associated with this perception. When all personal characteristics are taken into consideration religion was more likely to be important for people from minority ethic groups than for the majority population. The majority of all faith groups were satisfied with government and employer action to protect rights of people belonging to religions. But a significant minority of Muslims, and especially young Muslims were not satisfied. Around three fifths of Muslim respondents (62%) thought the government was doing about the right amount to protect the rights of people belonging to religions. This is the same proportion as Sikhs and but lower than Hindus (70%) and higher than Christians (53%). Of respondents who thought government was doing too little the largest proportion were Muslims and Buddhists. Perceptions varied by age. Three fifths of Muslims (61%) aged 16-24 thought the government was doing the right amount. This is the highest of all faith groups . However, respondents in this age group were more likely than people other age groups to think government was doing too little, including the majority of Sikhs (56%), and around two fifths of Christians, Hindus (both 39%) and Muslims (37%). The findings for respondents affiliated to Jewish and Buddhist faith communities were omitted from the table because the number of cases was too small for statistical analysis. Respondents were more critical about the extent to which employers were supportive of religious customs and practices. Around a third of Muslims (36%) thought employers were doing too little. This is around the same as the overall rate for all faith communities but lower than Hindus (39%) and Sikhs (41 %). Participation of Muslims is around three quarters the rate of all faith communities as a whole. Young Muslims are least likely to paiticipate, compared with all faith groups. Muslims are least likely of any faith groups to engage in volunteering. Around one in three (30%) of Muslims had engaged in some form of civic activity in the 12 months prior to the survey13. This is lower than the overall total for all faith communities (39%) but higher only than Hindus (23%) and Sikhs (28%). When examined by age Muslims aged 16 to 24 were least likely to have participated (24%) compared with the total for other faiths in this age group (29%) . Those aged 25 to 49 were the most active (32%) age group amongst Muslims. Muslims were least likely to volunteer. Over half of Muslims engaged in informal volunteering (54%) but this is the lowest rate of all faith groups (overall total 67%). Similarly around a third (30%) of Muslims volunteered formally compared with two fifths of all faith groups as a whole (39%). Analysis suggests that religion combined with ethnicity was not strongly associated with participation in volunteering for all groups (with the exception of respondents who were Black or mixed race and Christian). Education, occupational status and age were the engagement in formal volunteering. Between November 2001 and March 2004 it is possible to identity six surveys which have examined the attitudes of British Muslims across various topics emerging from the September 11 terrorist attacks. Several caveats (in addition to the note above) need to be borne in mind when using this data. Firstly, the surveys vary in quality and reliability, so results must be interpreted with great caution. Secondly, due to methods used the data should be treated as indicative of British Muslims' opinion, not representative of it. Thirdly, there is no comparative context to enable us to compare Muslim responses with those of other groups and understand the findings in this wider context. Finally, since questions asked were different in each survey (even when covering the same topic) strict comparison between the surveys is not possible. With these important caveats in mind, overall, it is possible to identity broad and tentative messages across five main themes where the surveys asked similar questions. Between 12-20% had favourable views towards the Afghan war. Between 64-80% opposed it. There only poll on the Iraq war shows 10% in favour and 80% opposed. Between 3-10% thought relations between Muslims and non-Muslims have got better as a result of September 11 ; between 27-36% thought there had been no change and 48-66% thought relations had got worse. Between 30-35% had experienced hostility based on religion as a result of September 11; between 65-70% had not. Between 67-87% feel very or fairly loyal/patriotic towards Britain and between 8-26% feel not very or not at all loyal/patriotic. Between 15-24% thought it was ok for British Muslims to fight with the Tahban; 62% disagreed. Between 33-41% thought Muslims need to do more to integrate; between 28-33% thought they had got it about right and between 17-26% thought Muslims had integrated too much already. 5 74% for Muslims and 63% for Sikhs and Hindus. 8 Those unemployed as a proportion of the economically active population. 9 Defined as aged 16-74, based on census data availability. 10 The term "no qualifications" describes people without any academic, vocational, or professional qualifications. 11 he term "lower level" qualifications is used to describe qualifications equivalent to levels 1-3 of the National Key Learning targets (i.e. GCSE's, 'O' levels, 'A' levels, NVQ levels 1-3). 12 The term "higher level" refers to qualifications of levels 4 and above (i.e. first degrees, higher degrees, NVQ levels 4 and 5, HND, HNC and certain professional qualifications). 13 Defined as participation in at least one of the following in the 12 months prior to the survey: signing a petition, contacting a local councillor or official from the council, attending public meetings or rallies, signing a petition, contacting an MP, taking part in a public demonstration or protest, contacting a public official from central government. 14 Includes Great deal + fair amount. Further 13% replied not very much. 15 Includes Completely + somewhat justified.